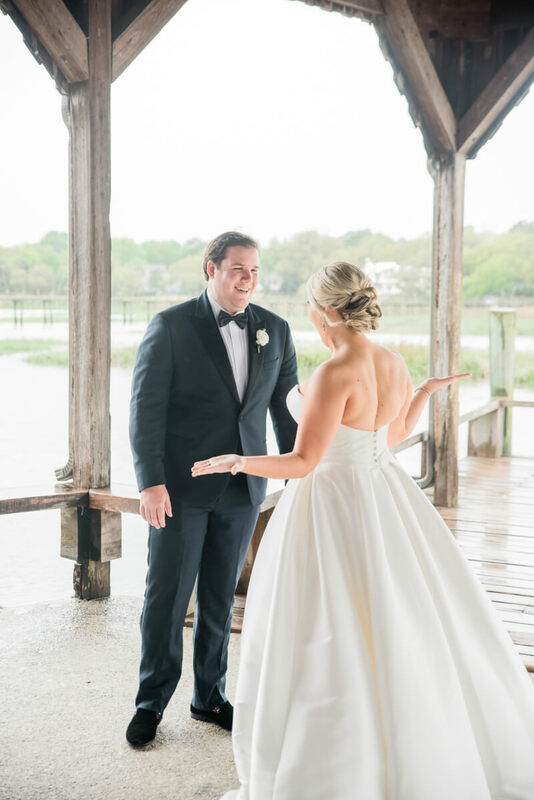 In Jessica's words: Austin and I met in 2011 while attending The College of Charleston. Which one of us initiated the friendship is still up for debate, but the rest is history! For years we were just friends and would cross paths at different parties and functions at College of Charleston. Fast forward almost 4 years and we finally went on our first date, my sorority Formal followed by our second date, his Fraternity Semi-Formal ... clearly we have a thing for formal occasions. Some of our most amazing memories have been made over the past few years -- we've gotten to experience each other change and grow in the best ways from graduation to getting big kid jobs to getting a our puppy, Beauregard! 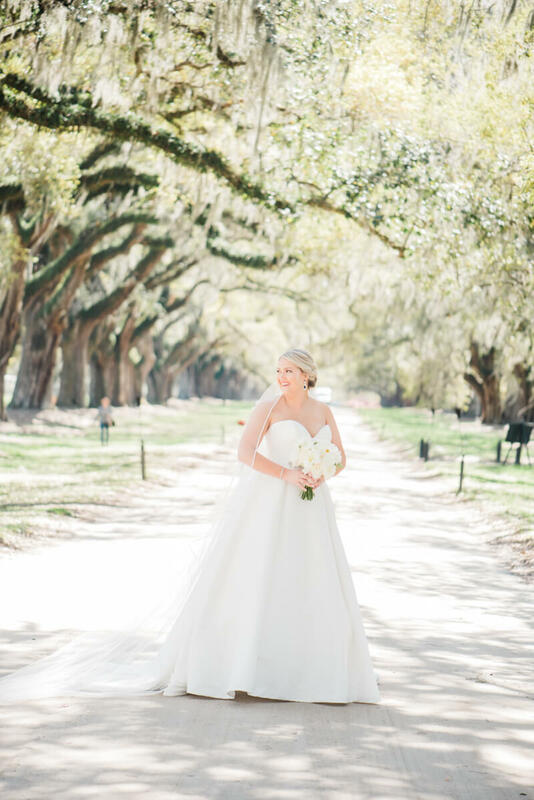 Jessica and Austin's wedding was planned with a ceremony on the front lawn of Boone Hall Plantation, and reception to follow on the Cotton Dock. However, God had another plan altogether and sent a day full of rain! 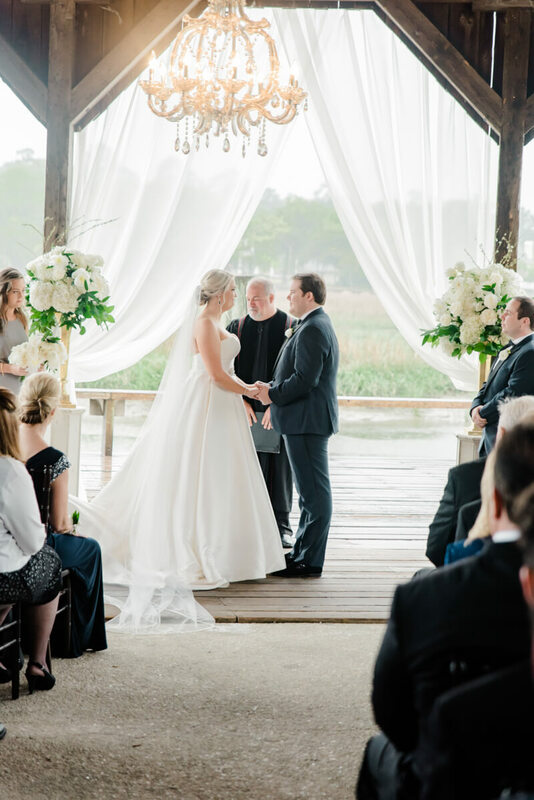 While this might have thrown a lot of couples for a loop, Jessica and Austin and their entire families never showed the slightest bit of disappointment. 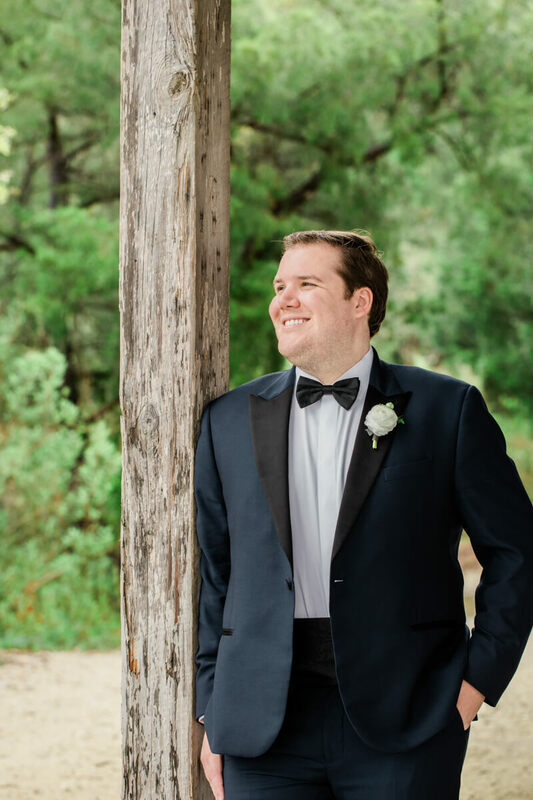 Every vendor involved rushed to put plan B into action, and the entire wedding came off beautifully. We didn't let the rain stop us from getting some truly epic photos of the bride and groom, either!